This school year in Rhode Island, countless hot lunches were taken from the hands of children and thrown away. The trashed midday meals were usually replaced by two pieces of bread and a cold slice of cheese along with fruit, vegetables and a carton of milk while the child’s friends and classmates looked on. The show of throwing the hot meals away in exchange for cold cheese sandwiches served a clear purpose: It forced parents to pay their child’s low or negative balance on their lunch tabs. As this was happening in Rhode Island, a cafeteria worker at a Pennsylvania elementary school quit her job over similar practices. She told The Washington Post that she couldn’t bear to look into the eyes of another hungry little boy as she took his lunch away because he didn’t have money to pay for it. It’s clear that embarrassing the children is the inevitable outcome of these practices. But in most cases, the schools that engage in lunch shaming don’t mean to hurt the children, according to the School Nutrition Association, a nonprofit that represents school nutrition professionals nationwide. Instead, the goal is simply to keep their annual budgets balanced. While the government pays for the meals of children enrolled in free lunch programs, federal funds are not allocated to cover the tab for children who do not qualify for free lunch but whose parents still can’t afford to pay. School officials must find ways to cover that cost. And the problem of unpaid tabs is an expensive one. According to the SNA, about 75% of schools across the country reported that they ended the 2015-16 school year with students’ unpaid lunch debt. That was up from the previous school year, when 70.8% of schools reported unpaid student meal debt. “Unfortunately, for under-funded school meal programs, unpaid school meal debt can become a critical problem that can impact the quality of meals for all students,” the SNA said in the public statement earlier this year. The SNA says it’s up to parents and schools to work together to find ways to reduce that debt. To alleviate the financial burden on the school systems and the parents who can’t afford to give their children lunch money, people nationwide from Virginia to Portland have donated money and taken to crowdfunding website GoFundMe to help raise money from kids in their school districts. Even celebrity dad John Legend recently chipped in, donating $5,000 to help cover an unpaid lunch tabs in Seattle. Still, school districts around the country will need much more to get all the unpaid balances down to zero. That means they have to find ways to work with parents who may be able to pay. A new mandate from the U.S. Department of Agriculture requires schools to attempt to collect unpaid lunch debt and also says students who owe money at the end of the school year could still be responsible for that debt at the beginning of the following school year. The USDA mandate, which allows districts the freedom to come up with exact policies that suit their students, doesn’t advocate letting children go hungry — but it does leave room for schools to implement alternative lunch policies like those in Rhode Island. 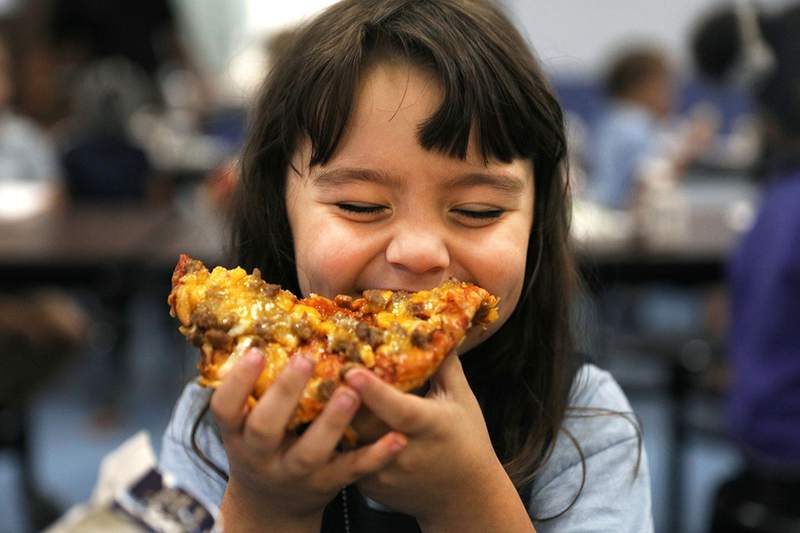 Whether a state decides to go the way of Rhode Island or chooses the path New Mexico has taken and outlaws lunch shaming, the USDA is requiring every district have a written policy in place for the start of the 2017-2018 school year. Here in Pinellas County, Florida, where The Penny Hoarder’s headquarters is located, more than half of students qualify for free or reduced lunch. Our local school district has taken a stance closer to that of New Mexico and decided not to lunch shame children whose families can’t pay. Each school in the district has what’s called a principal’s account that is used to cover the meals when children can’t pay. The account is funded by local PTAs and other private donors. The Pinellas County district’s procedure protects students from being singled out and embarrassed, and that is what school districts should aim for, said James Spratt, a child psychologist who has worked with Florida schoolchildren for more than 20 years. The shaming practiced in other districts could have negative effects on childhood behavior both immediately and as they age, Spratt added. “(The child will think) it must be that I did something wrong. That’s why I’m not getting to have my lunch,” he added. According to Spratt, who works with children and families near Orlando, while these practices can hurt young children who can’t understand why their lunches are being taken away, the impact gets worse as children get to middle and high school. With continued shaming over time, underperforming or acting out for a day could become long-term behavior in a child. Still, the USDA is leaving it up to school districts to decide how to keep their budgets balanced when families owe money to the lunch program. That means that lunch shaming practices could go from informal policies to written rules in some districts across the country. Desiree Stennett (@desi_stennett) is a staff writer at The Penny Hoarder. She grew up on the free and reduced lunch program.